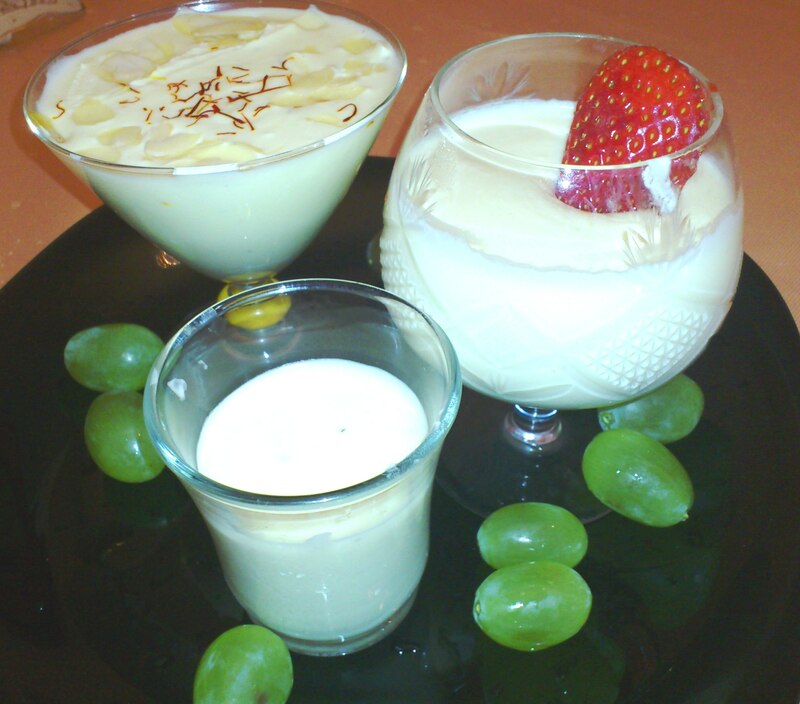 I love white chocolate and wanted to make a mousse with white chocolate as an alternative to the chocolate mousse and ofcourse eggless as you all know!!! I think saffron and white chocolate are an amazing combination with a little cardamom and rose essence thrown in for that “middle eastern” flavor. For those who dont like cardamom or rose essence you can omit both of them…white chocolate on its own is just soo orgasmic!!! I have put together a step by step video tutorial of this to make it easier for you to understand the recipe. Here is the recipe in case you need a print out!! Put the cream to boil with the saffron and the cardamom powder. When it comes to a boil remove from the heat and add the white chocolate and mix well so all the chocolate melts. Leave to cool at room temperature and start to whip the chilled cream. Carefully fold in the whipped cream into the white chocolate mixture carefully. Add the essence. Pour into a dish or individual cups and decorate as you like. 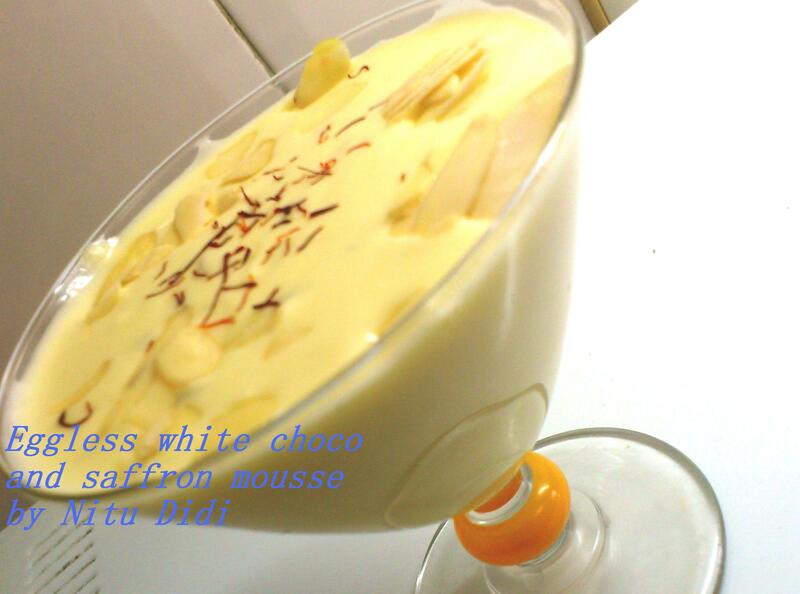 This entry was posted in Eggless Sweet Temptations, Everything Vegetarian, Saffron and tagged eggless, mousse, saffron, white chocolate. Bookmark the permalink.